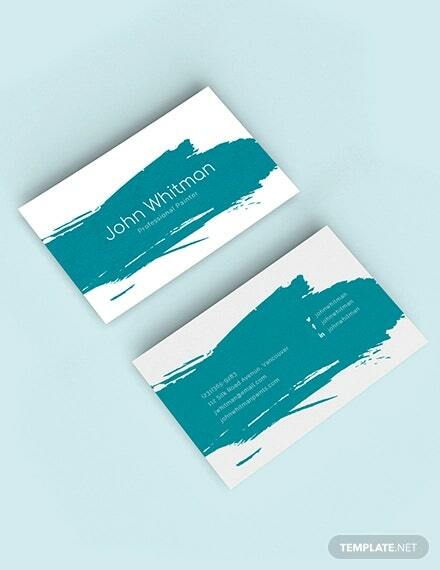 Artistic business card designs are very different from the usual, conventional business cards. 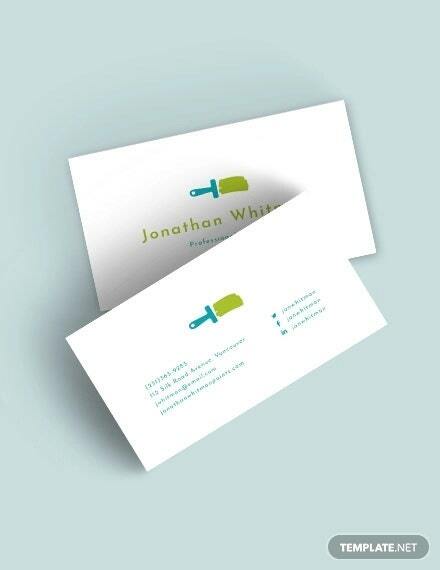 Generally, business cards are candid and direct with their design. 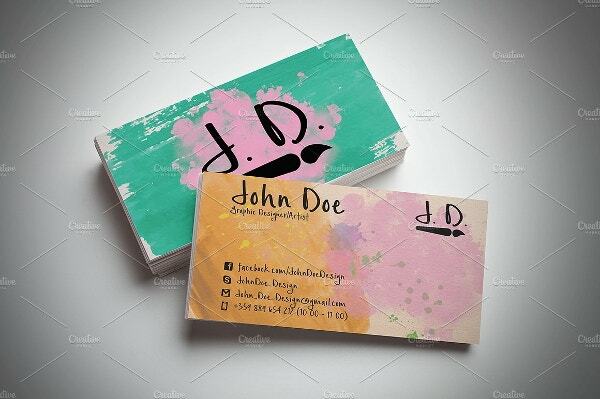 But when it comes to creative, off beat professions in the field of design and art, people prefect to have an artistic touch to their business card. 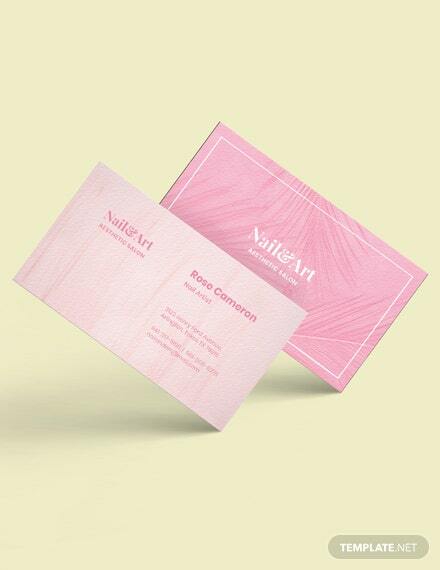 If you have been assigned to create something similar, we have a collection of a beautiful variety of artistic Business Card Designs. 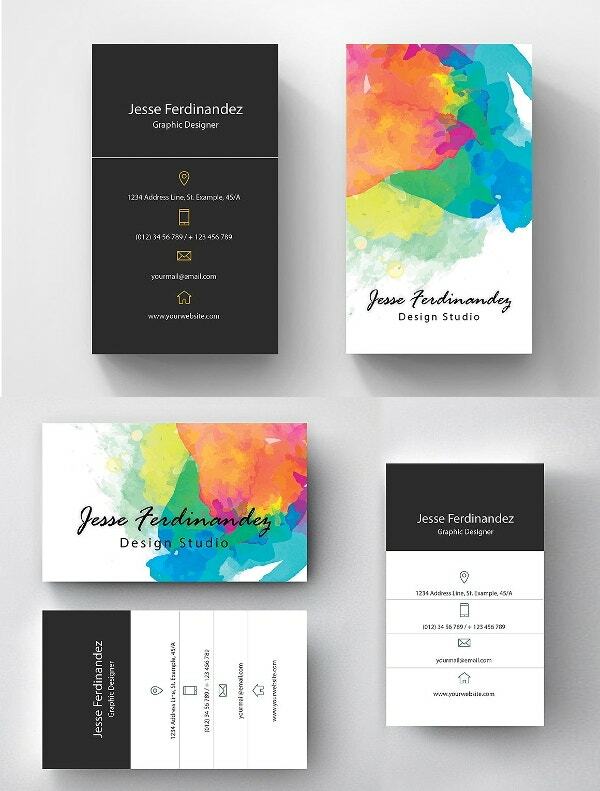 These designs are bright, colourful and creative. Some of these cards are also available in the template file for you to download and work upon, making your design task even easier. 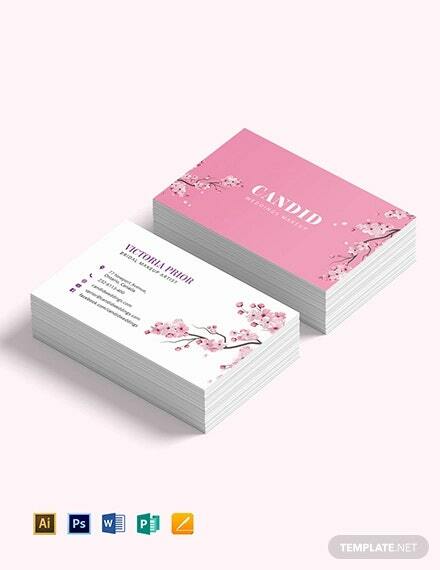 This business card template is professional and artistic. The file is fully editable template, easy to use and customize in Adobe Photoshop. You can change texts and colors easily as per your requirement. 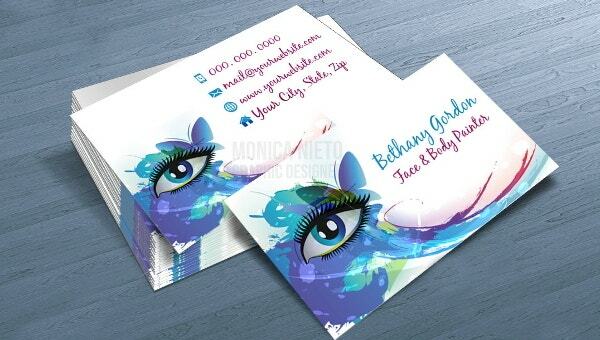 This is a premium premade artistic business card design. The design will be made available to you after your approval. You can get the design personalised as per your specification. 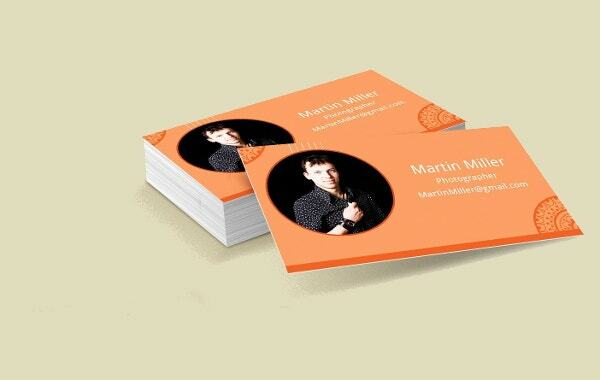 This is a high resolution two sided business card file. 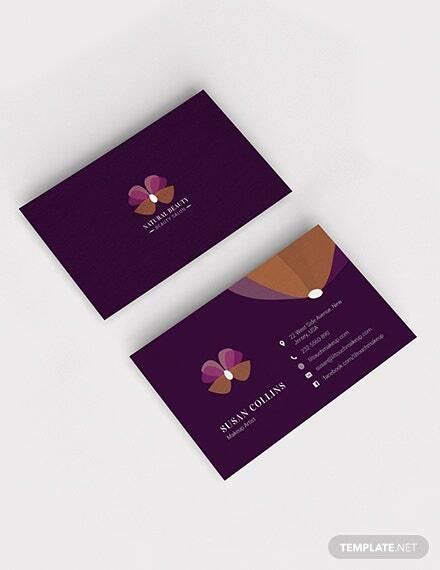 The beautiful business card design has a contemporary and interesting geometric pattern. 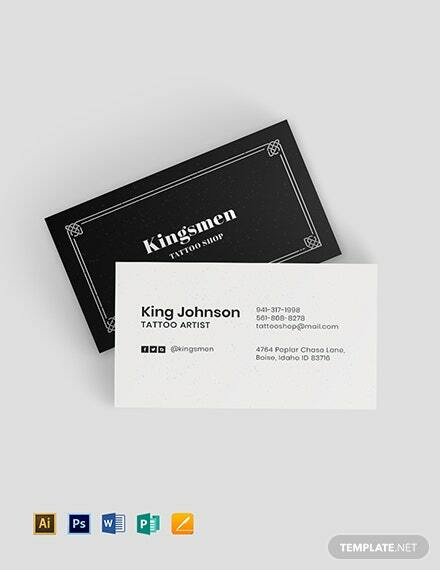 This artistic business card design is perfect for personal use. 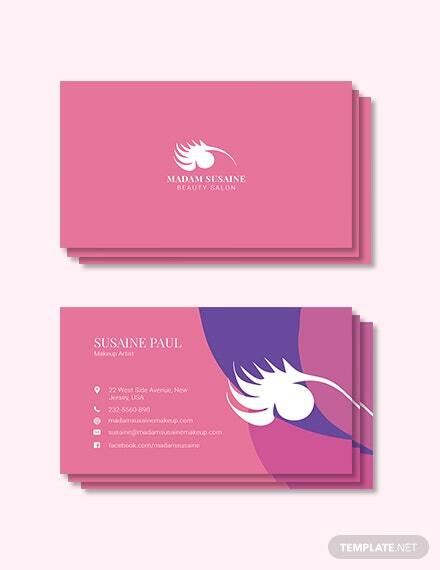 The template is fully editable and comes with well organized layers that can be customised as per your specification, using Photoshop. 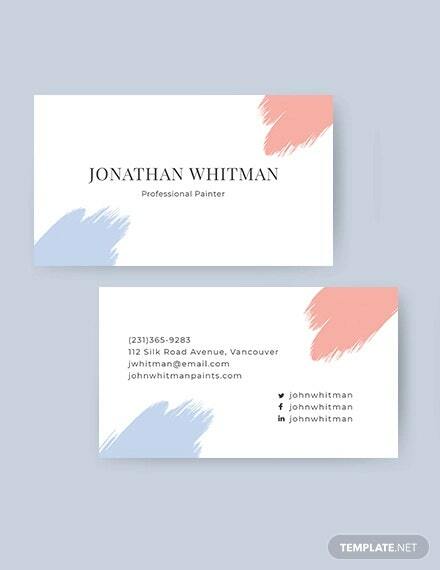 This great clean design has been crafted for the true professionals. 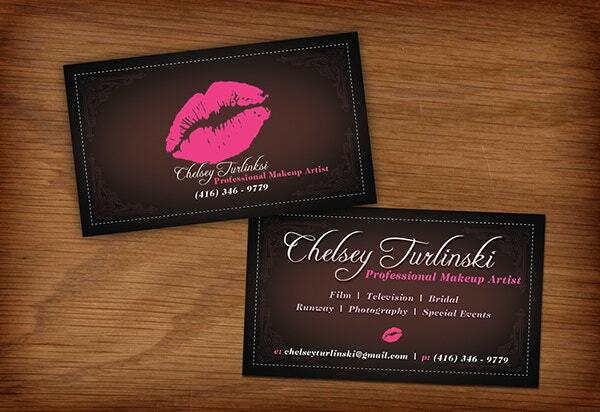 Makeup artists can showcase a lot through their business card. 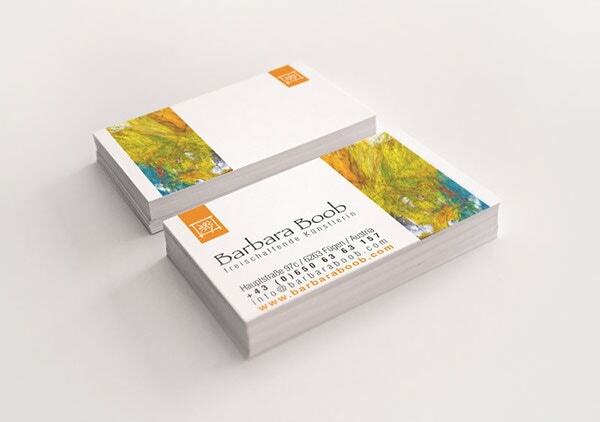 You can give a hint of your creativity through your artistic business card. Look at the image given above for inspiration. 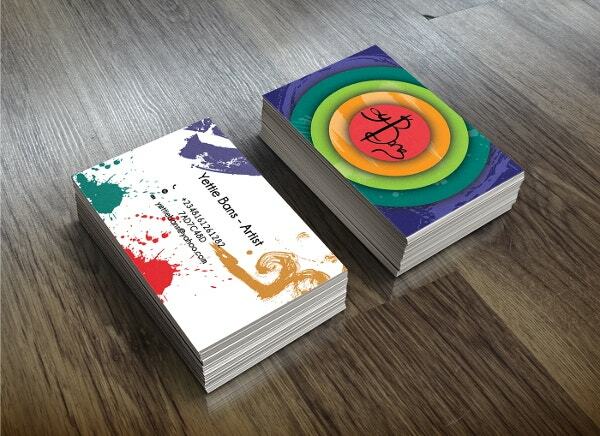 The business card has been designed in an artistic fashion and looks spunky and eye catching. 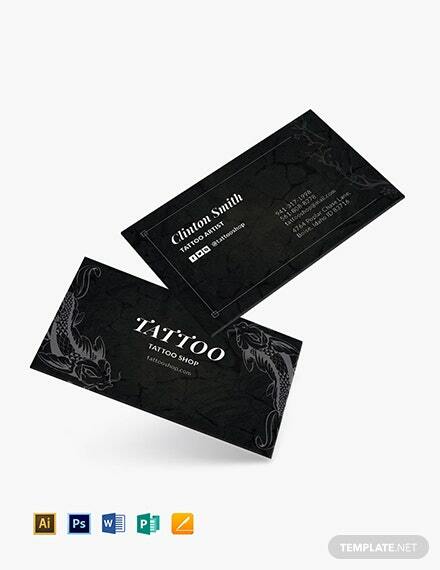 This unconventional business card is perfect for anyone who likes contemporary graphic art related designs. The file is available in PSD template and is print ready. You can edit the file using photoshop. The file is easy to use and customise. 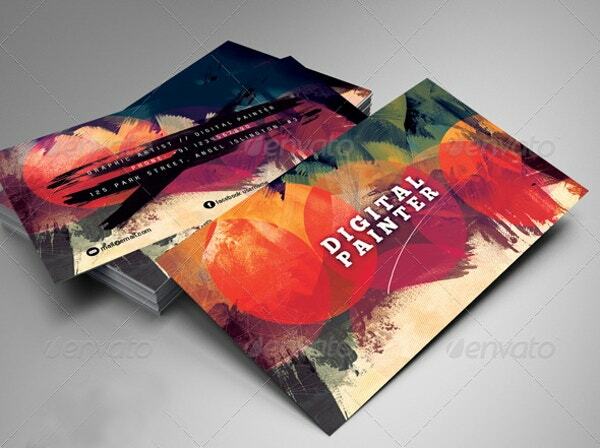 This template file provides with a two sided artistic graphic business card design. 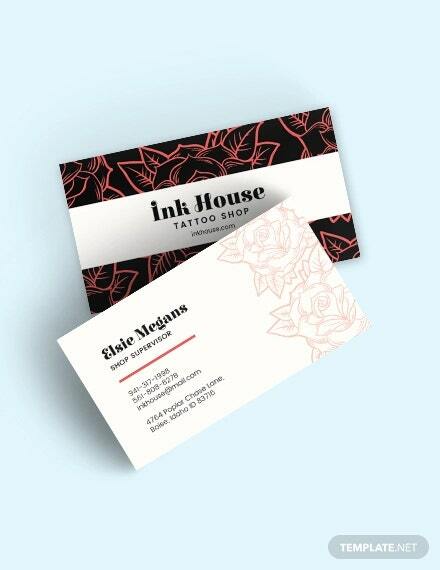 The editable business card template comes in two colors and two file formats .EPS and .PSD. 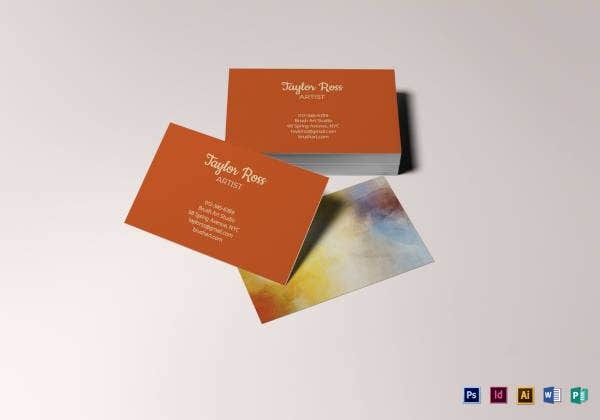 This artistic business card is suitable for photographers and the layout offers a layer to include the image of the card holder. 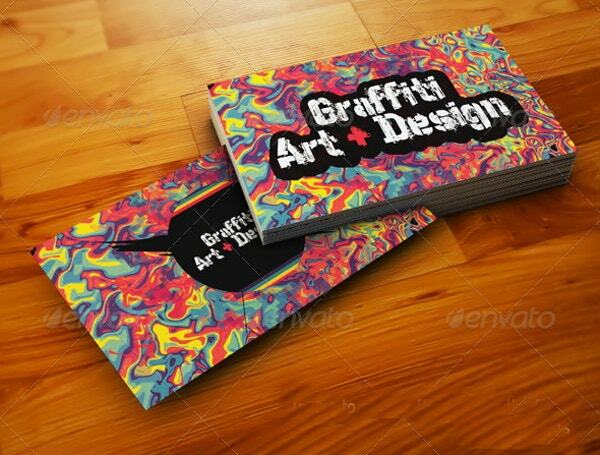 The size of the card is 9×5 and can also be used by artists and creative individuals. The file is available in PSD format and can be edited and customised using Photoshop. 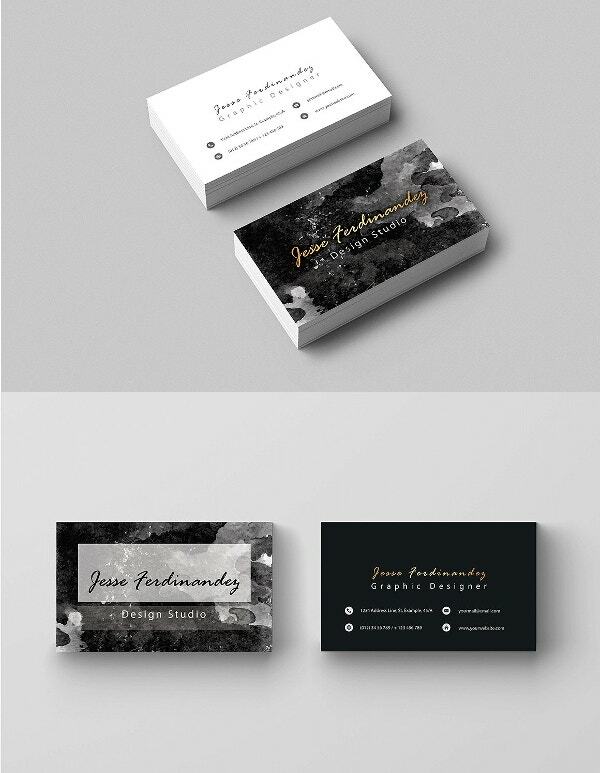 This artistic business card templates comes in an interesting design layout. 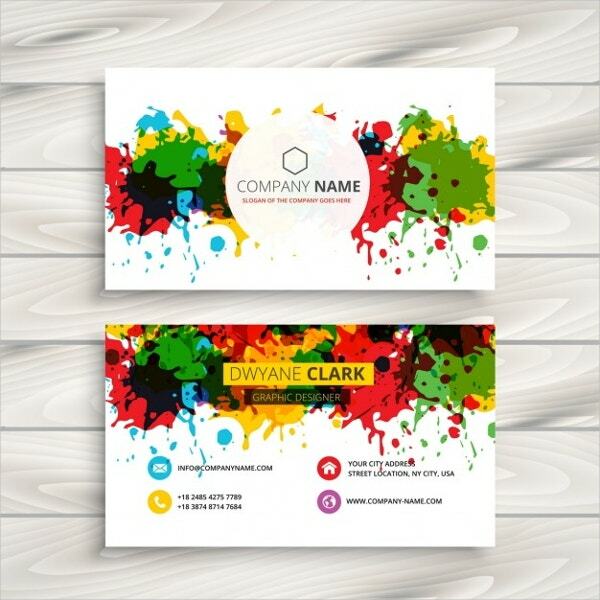 This business card template is colorful and is also available in black and white variation. You can add colors and edit the template with the help of photoshop.